South African director Jonathan Liebesman (Battle: Los Angeles, Wrath of the Titans) hit a rare stride with his newest motion picture. Teenage Mutant Ninja Turtles finds a successful balance of satisfying the studio and the audience with a blistering pace, a beautiful movie star, constant laughs, a sensible, however all-too-explored plot, and a bankable name brand in the pop culture canon Teenage Mutant Ninja Turtles. Produced by Hollywood hotshot and Transformers: Age of Extinction director Michael Bay, Teenage Mutant Ninja Turtles hits all of the excitement and thrills of Bay’s latest Transformers entry in a fraction of the runtime. While may not have the spectacle of Amir Mokri’s cinematography in Age of Extinction, Liebesman’s expertise in 3D from Wrath of the Titans lends itself well to the film’s several exciting chase sequences and action combat to give the film some extra pop (specifically with villain Shredder’s projectile blades). Liebesman kicks off his film with Brian Tyler’s (Into the Storm, The Expendables 3) hurried score. The director makes it clear there’s not really an intention of slowing down as the music never relaxes. The viewer follows Megan Fox’s (Transformers, Jennifer’s Body) television journalist April O’Neil as she begins her investigation of the nefarious Foot Clan gang invading New York City. O’Neil serves as main character, a great tactic implemented by the filmmaker to have the audience meet and learn about the Teenage Mutant Ninja Turtles and the Foot Clan’s motivation with the protagonist. The film quickly loses steam here as O’Neil is more or less subject to Will Arnett’s (The Brothers Solomon, “Arrested Development”)advances, the rescuing graces of the turtles, or huddling and hiding like the characters in Liebesman’s Battle: Los Angeles. However, Liebesman’s history of CGI-heavy filmmaking made him a perfect candidate to direct the film. April’s background, the turtle’s story, and each of the villain’s tales all tie together in a rather-forced fashion like studio-funded brand name blockbusters are wont to do. The canon origin of the heroes in a half-shell undergoes a sacrifice in the name of pace and plot. Despite the agreeable pace and overall fun atmosphere of the film, the biggest thing going against Teenage Mutant Ninja Turtles that isn’t Guardians of the Galaxy is its lack of originality. The turtles’ battle with Shredder goes down exactly like the finale of The Amazing Spider-Man from two years ago: our heroes battle the antagonist with similar abilities on the roof of a New York skyscraper while a beautiful girl works painfully inside the same building to prevent an air-based toxin from entering the city’s breathable air. Luckily, Liebesman captures the spirit of each turtle’s personality. Leonardo is the fearless, charged leader burdened with the responsibility of providing a positive example for his brothers at such a young age—even for a mutant turtle. Michelangelo receives a good amount of the laughs as the comedic, carefree, cheese pizza-addicted teenager with a crush on April. Donatello’s role gets reduced to the brains/ resident techie of their operation. Raphael gets the most opportunity to find a character as a hero torn between resenting his brothers and desperately needing their simultaneous approval. Because April serves as the main character, the turtles certainly don’t play second fiddle as they feature in every action-packed scene—the same scenes where April gets reduced to duck-and-cover. Although Jonathan Liebesman’s reboot Teenage Mutant Ninja Turtles won’t win any acclaim for originality, it certainly reaches the desired level of entertainment and fun one could expect from such a premise. 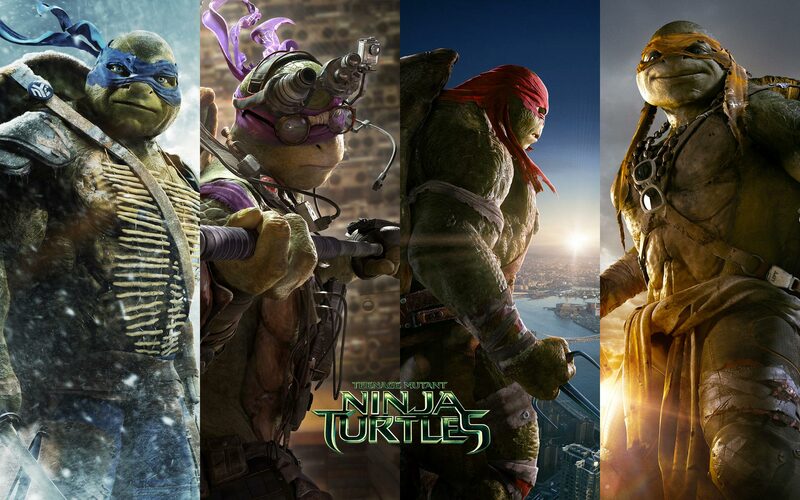 Ninja Turtles has a lot going for it in a summer that finally found the box office turn around last weekend. With a proven director, a well-known lead in Megan Fox, and CG mutant turtles in 3D, Liebesman’s newest film sounds as fun as it unfolds. Teenage Mutant Ninja Turtles has no illusions about what it means to be a summer blockbuster and doesn’t beat around the bush—right down to the several shameless shots featuring the Pizza Hut logo.